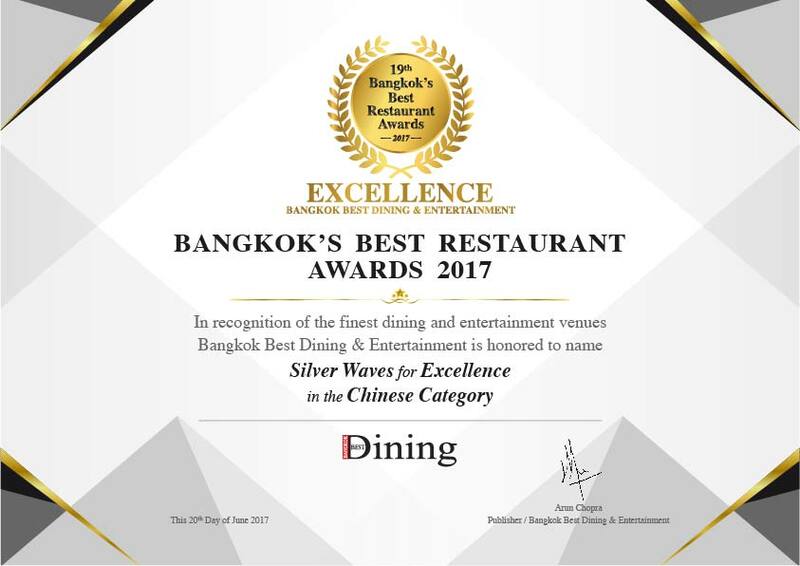 Silver Waves Chinese Restaurant is Officially One of Bangkok’s Best! Silver Waves Chinese Restaurant in Chatrium Hotel Riverside Bangkok was both proud and delighted to receive a Certificate of Excellence in the Chinese Restaurant Category at the “Bangkok’s Best Restaurant Awards” 2017. The annual award ceremony was organized by Bangkok Best Dining and Entertainment Magazine, a household name among publications dedicated to informing people about what’s on in the capital and who for over 20 years has been the font of local knowledge regarding the very best of the eclectic choice of cuisine available to diners in the City of Angels. 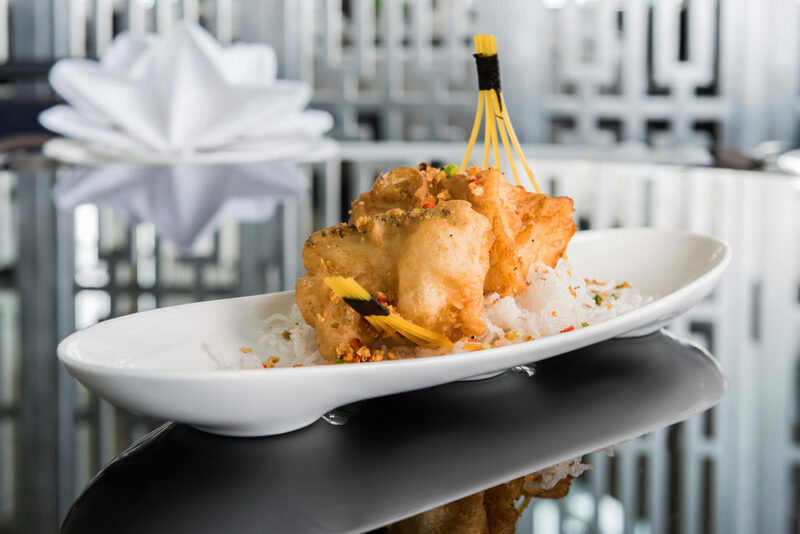 Bangkok’s Best Restaurant Awards is a yearly award ceremony that takes palace in the first quarter of the year and is credibly noted as the event of the year. This staged event, a multi-venue dining and entertainment ceremony features 34 venues, live band performances and awards presentation. 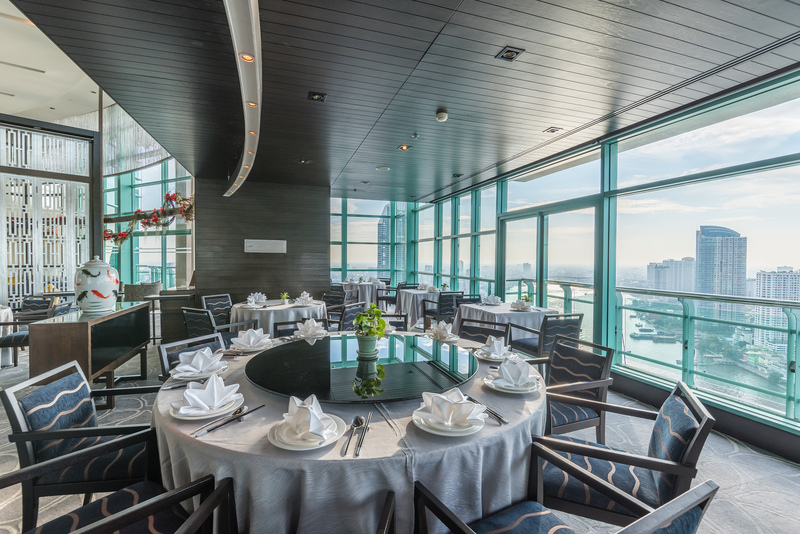 Silver Waves Chinese Restaurant enjoys an incomparable location on the 36th floor of Chatrium Hotel Riverside Bangkok and offers guests splendidly panoramic views of the Chao Phraya River and beyond in an atmosphere of sublime comfort and sophistication. 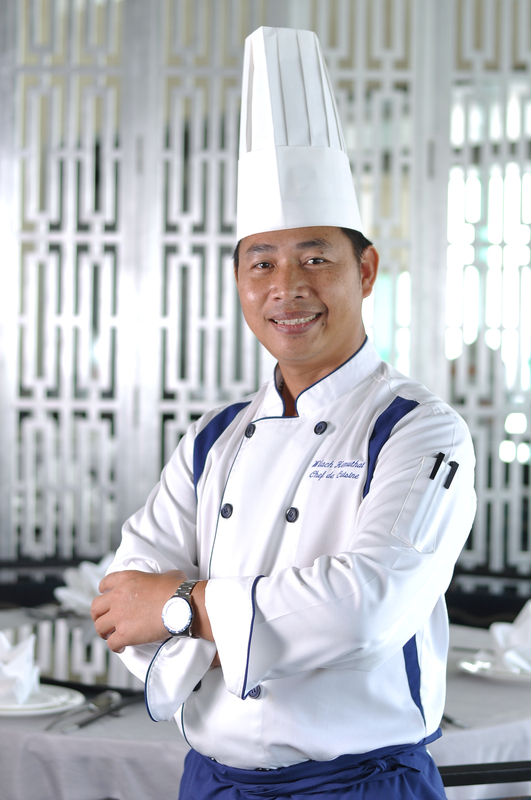 The kitchen is in the expert hands of Chef Wilach Hemuthai and his skilled team of culinary artisans whose sole purpose is to provide discerning diners with the most desirable Cantonese fare around, created with the judicious use of only the freshest and finest ingredients sourced from a select group of suppliers. 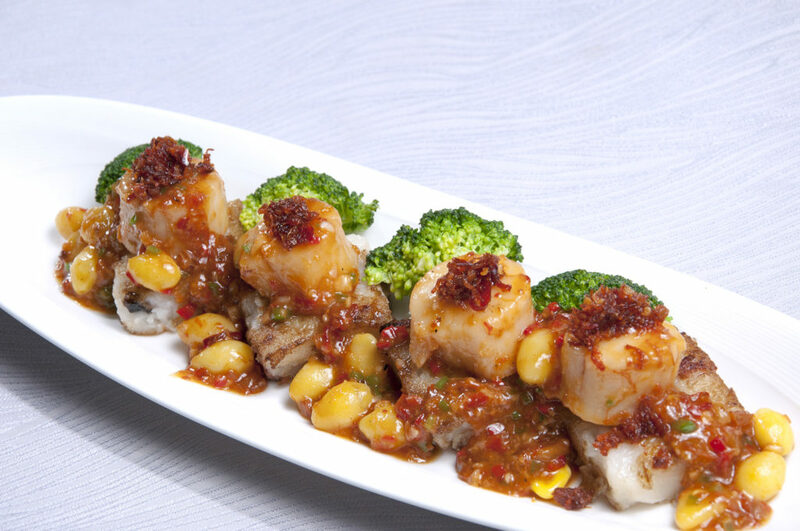 The enticing menu offers a delightful choice of dishes, ranging from delectable homemade dim sum specialties and classic Chinese staples to a range of unique signature specials which are only available at Silver Waves. To experience for yourself why Silver Waves was named as one of Bangkok’s best please contact at 0 2307 8888 ext 1948-49 or e-mail: silverwaves.chrb@chatrium.com. Next PostNext Tell a Friend Get a Freebie!